Wonderfully constructed home built & designed by local Architect. Home has been in the family since construction date in 1974. 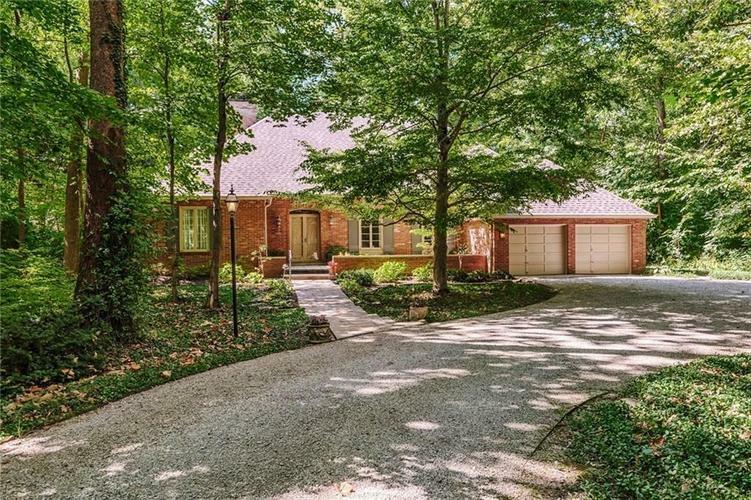 Home is situated on a 1/2 acre lot completely surrounded by mature trees. Home boasts 4 bedrooms w/main floor master suite & 3 bedrooms upstairs. 1.5 bathrooms on main & 2 full bathrooms up. Pegged hardwood in the Living Room, Family Room and Dining Room. Living Room has large masonry fireplace & wall of windows overlooking backyard w/easy access to backyard patio living area. Kitchen & breakfast nook overlook backyard as well. Backyard is fenced & extremely private. Finished basement area w/fireplace & large utility room. Garage has two bays w/one being a tandem for the 3rd car or additional storage. Show today! Directions:82nd & Meridian, east on 82nd St to Sycamore Road. Right on Sycamore to 8140 on right side of street.